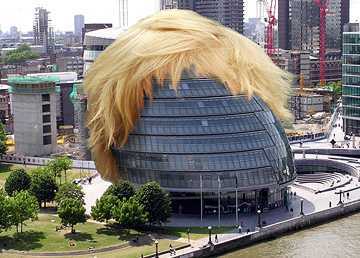 Coming up we’ve got the London Mayoral and Assembly elections on May 5. When we vote for the Mayor we know who we are voting for. They are all over the media and their mugshots have been staring up at us from our doormats. Likewise with our Havering & Redbridge Constituency candidates with whom we have Hustings on 11 April. But it’s not necessarily clear when we vote for a Party on the List section. These are fine margins and your vote could well be the decisive factor in a complicated process (see section 3 here) that decides who gets the nod for the final assembly seat. It is in this hazy area that we seek to give some light on this blog. Last time out Labour got 4 list members all of whom are standing again at numbers 1-4. So, if they do any better who is at number 5? Answer: Alison Moore who is a councillor at LB Barnet. The Conservatives got 3 list members but only 2 of them are standing again. Their new number 3 is Shaun Bailey and they will want to improve by squeezing in with number 4 Susan Hall who is the leader of the Conservative group at LB Harrow. The third party on the Assembly, the Greens, had 2 list members both of whom are standing down, one having been elevated to the Lords. Number 1 is Sian Berry who is also the Green Mayoral candidate (and lone Green councillor at LB Camden) and number 2 is Caroline Russell, otherwise known as Highbury on Foot, a lone Green councillor on Islington Council. They have been close to getting a third member on previous occasions and this time it’s Shahrar Ali, the party’s deputy leader, looking to make the breakthrough. Bringing up the rear, the Liberal Democrats also had 2 list members, both re-standing, but one of them has been relegated to number 5 on their list. He is replaced at number 2 by Emily Davey so their potential third member would be Merlene Emerson. On to UKIP who do not have an assembly member at the mo. But they have in the past although they didn’t finish their term as UKIP having morphed into “One London”. Again leading the list is their Mayoral candidate Peter Whittle. If he doesn’t get the mayor post he will be looking for a place on the assembly. So, we will be inviting each of these marginal candidates to tell us why we should vote for them in the list section, in not more than 400 words to be published here on this blog.